Time to be Thankful, Spring Sports Edition! The Northwest track program arguably has one of the biggest upsides with the program stacked with young talent across the board. The Clay softball program poses for a picture. The 2017-18 season was one where all 12 Scioto County schools got their shine, in one form or another. And the postseason that the baseball and softball realms put together was arguably one of the best in a long time in terms of competition and parody. In tennis and track, the stellar student-athletes, including Drew Jackson, Ellie Ruby, Lynsey Shipley, and Breydan Tilley continued their dominance. And it all amounts to another Time to Be Thankful edition! The entire Clay softball, baseball, and tennis programs. The Clay softball unit is as competitive as heck. Shaelyn Vassar is an outstanding talent who should be able to play the sport in college if she so chooses. So should Jensen Warnock, who had a Ruthian-type game against Strasburg-Franklin in the regional semis. Ryanna Bobst and Lila Brown are excellent slap hitters and fielders who also serve as great leaders and teammates. Megan Bazler has outstanding exit velocity on her bat and hits a softball about as hard as I’ve seen one hit — and I should know, I about got drilled by a foul ball on one of her gigantic swings. Then of course, you can’t forget about the dynamic duo that is Julia Swain or Hannah Oliver in the circle, Cassidy Wells’ effectiveness behind the plate, or Elisa Collins, a steady presence in the outfield, and what they bring to the table, or Kat Cochran and Shaley Munion. Clay loses only Swain out of these girls and should contend for a Division IV State Championship with what is coming back and the outstanding talent that is coming up. The tennis program that Bobby Blanton runs also deserves a kudos. Three SOC I Championships in four seasons says it all, and that’s due to Blanton’s scheduling, which is very tough considering Clay’s size. Gage Keller could be a guy that obtains a state berth at the Division II level, and Alicia Bobst and Regan Osborn will join Nate Hinze in the SSU tennis program in the fall. Clay is on a roll in the sport. And for good measure, why not include the baseball unit? The amount of young talent that this program has in its arsenal is outstanding, as evidenced by what Dakota Dodds, Clay Cottle, Reece Whitley, Evan Woods, Jaden Jessee, Shaden Malone, and Tanner Richards brought to the table in 2018. Keith Cottle, McGwire Garrison, and Bradley McCleese were outstanding upperclassmen leaders for a unit that blew away its expectations with 18 wins. It’s a group that, with all of the above returning except Garrison and Keith Cottle, could join their softball counterparts in the regional tournament next year. It’s truly a great time in Rosemount right now, and 2019 could be one of the best years across the board for the school as far as its spring sports success goes. Matt Miller. We talk a lot and I tell him this when I see him, but I don’t know how he does it all. He coaches baseball for East, he will be the new head coach for the East football program, and, on top of that, he runs the Post 23 baseball operation. It’s hard to find a more dedicated person, as far as time goes, than this guy in the sports realm. East and Post 23 are lucky to have him, because he cares about the values that all three programs should be about and he cares about the kids in the programs. Tanner Kimbler and Rylee Maynard. There are a lot of great athletes that are on the Green baseball roster, but the reason why the Bobcats are as good as they are is because of these two middle infielders. One could always know what to expect out of Kimbler, a .550 hitter who nearly recorded a 20-to-1 — 20-to-1! — strikeout to walk ratio, or Maynard, a guy who committed an error total of single digits at the second base position. Maynard graduates, but he and his fellow shortstop/pitching teammate personify what makes the Green baseball program a fun team to watch. The baseball program and Breydan Tilley. Led by Aaron Hopper, the Falcons’ baseball program proved to be poised beyond the years that their classes would represent, as their 24-3 record suggests. Payton Davis, Luke Lindamood, and Ethan Lauder were outstanding leaders and came up big when Minford needed it the most. Brayden Davis, Darius Jordan, and Elijah Vogelsong-Lewis are quick outfielders who, I believe, were the most critical components to the run because of their speed and ability to cut off well-hit baseballs in order to keep them from flying past. And Nathan McCormick, Reid Shultz, and Bailey Rowe had excellent second halves for Minford. If there is one thing that this program needs going forward, it’s depth, but with eight of its nine starters coming back, I don’t see depth being much of an issue next season. Lauder and Vogelsong-Lewis were outstanding in clutch moments this season on the mound, and the same goes for the entire defense. Tilley, who qualified for two track and field events at state, did work as evidenced by his podium finishes in the 110 meter hurdles and the high jump. To finish fifth in the hurdles and sixth in the high jump, especially after clearing 6-5 on his final jumping attempt, is very impressive. Sammy Oiler. One of the two Oiler sisters in the mix, Sammy willed New Boston to an impressive victory over Symmes Valley en route to finishing with a 7-7 record in the SOC I. The Lady Tigers lose one of its best classes from an athletic standpoint in school history, so Oiler will have to step up and be a leader for what will be a younger bunch in 2019. Cassie Schaefer, CJ Corns and Tyler Speas. Schaefer is a student-athlete that colleges need to start tracking. She is an excellent student, leader, teammate, and softball player who can absolutely play at the collegiate level and brings a great bat to the table. The same goes with Corns and Speas, who are excellent talents and can really play the game of baseball. Corns’ breaking ball and fastball velocities were outstanding, and Speas’ plate approach was very strong again in 2018. The Northwest track program. Haidyn Wamsley, Abby Baer, Magen McClurg, Tyler Webb, Billy Crabtree, Josh Shope, Landen Smith, Gabe Morrell, Harald Rundquist. What does that give you? A very impressive group from which to start with on the track and a good blend of experience and youth to build on. Wamsley, who participated in softball and track simultaneously, is an athlete that colleges need to start tracking now. She is as impressive as they come. Baer, McClurg, and Webb are excellent leaders who were strong in throwing, distance, and sprinting events, respectively. And Crabtree, Shope, Smith, Morrell, and Rundquist can run in relay or distance events with precision. Baer, McClurg, and Webb all graduate, and Rundquist had to return overseas with his foreign exchange time up at Northwest, but Wamsley, Shope, Smith and Morrell will only be sophomores, and Crabtree will have two seasons left himself. What does that equal? A future state contender as a team, which is what I believe that Northwest will be. Lynsey Shipley. I can’t imagine myself qualifying for four track and field events at the regional level. I certainly can’t imagine myself qualifying for all four events that I could possibly compete in at the state level. And I definitely can’t foresee myself finishing on the podium in all four events at the state meet and doing so while under the weather. What can you say? That’s just outstanding resiliency by the Northern Kentucky signee and represents the best that sports has to offer. If Shipley isn’t proud of herself, she definitely should be. 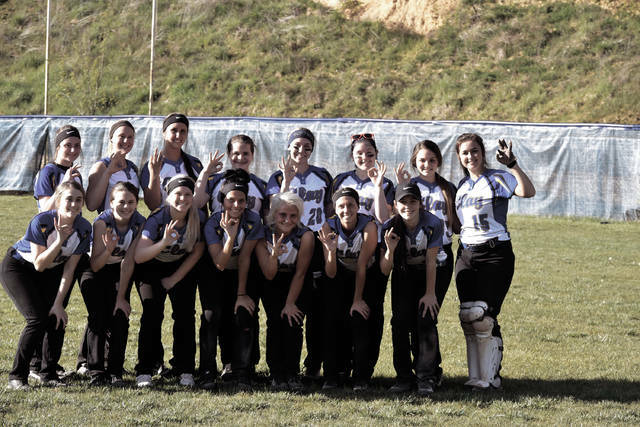 The South Webster softball program. This program has a chance to get back to where it was in the early 2000s. Gwen Messer has a lot of promise as a pitcher and Baylee Cox, Bri Smith, and Mack Keller are strong sluggers. This unit will have to clean up the fielding errors that plagued them in some contests, but I saw a competitiveness and fire out of this unit that is definitely promising. South Webster will not be a pushover. Faith Brown. This is kind of the same deal as Shipley. I definitely can’t foresee myself pitching in every game, and throwing every pitch in every inning of every game en route to obtaining First-Team All-State honors. It says a lot to the type of person that Brown is, and how dedicated she is. Need more proof of that? This is a young lady who finished her high school career with a 4.0 GPA. It will be exciting to watch what she can accomplish at Shawnee State under Steve Whittaker and Dan Stevenson. The West baseball program. When I watched this program at the beginning of the season and when I saw it at the end, I saw a program that made a complete 180. Early results didn’t go West’s way, and that can discourage some teams before the season even starts. When West played Rock Hill at the end of the year, it was a program that was playing at its peak at the end of the season. Marty Knittel and Drew Cassidy will be missed, but with Chris Rapp and Co. back, I don’t see West going anywhere anytime soon. Garrett Hurd’s one of the best sluggers in the entire district. Cade Powell and Cade McNeil have excellent tools. Dylan Bradford, like McNeil and Powell, has excellent tools at the plate and in the field, and he’ll be called on to be the ace of the staff. Trevor Staggs strung together strong performances, as did Brady Whitt, who had a strong season at the end of the year. This will be a unit to watch out for, especially on the basepaths. Ellie Ruby, Teresa Ruby, Cole Dyer, Drew Jackson. Ruby, the track athlete already led her team to a regional berth in volleyball and earned All-State honors, and was an All-District point guard on a Division III District Semifinal unit, so why not go out with a bang in track, too? The 5-2 senior certainly did that, earning her second state title in three years in the long jump — doing so in two different divisions in the process — while obtaining third place in the 300 meter hurdles and seventh place in the 100 meter hurdles. The individual accolades that Ruby has obtained is largely due to the energy that she brings to the table, and that energy will allow Ruby to exit as one of the most successful athletes in the history of the school. As for Ruby, the softball coach, it is truly unbelievable what she accomplished with her 2018 version of the Lady Pirates. If you thought that Wheelersburg could win its first 24 games of the year after losing seven starters, two NCAA Division I signees (Faith Howard and Kalle Coleman), and an NCAA Division II signee in Bre Klaiber who is setting a blistering pace at LIU-Post, you are kidding yourself. It has to be one of the best coaching jobs that has ever been done in the Tri-State Area regardless of the level of sport or what sport it is. Wheelersburg is extremely lucky to have Teresa Ruby and her staff on board. Dyer was simply tremendous this year from a baseball standpoint. To finish with 15 home runs in basically a month’s worth of games is astonishing. He is an absolute steal for Rio Grande and could be a guy that we see as an All-River States Conference talent there. 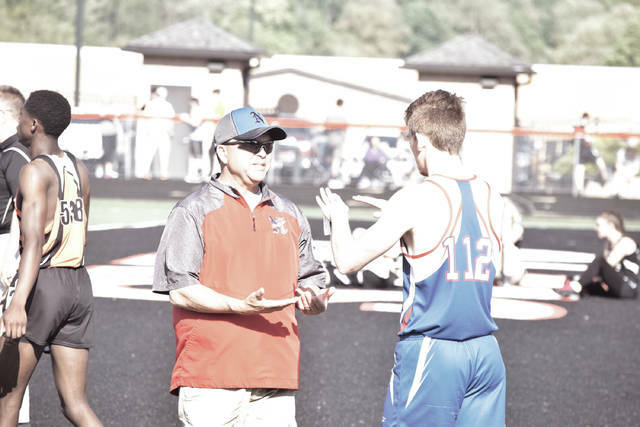 While Ruby and Dyer have set tremendous paces as high school athletes in track and baseball, Drew Jackson, with his 77-9 overall record through three seasons in tennis, is a guy that has accomplished so much already. I mean, we’re talking about a student-athlete that has won nearly 90 percent of his matches and has made two appearances at the Division II state level already in the boys tennis realm. There aren’t going to be many more careers around the TSA that are more special than his when the 2019 season comes to a conclusion.